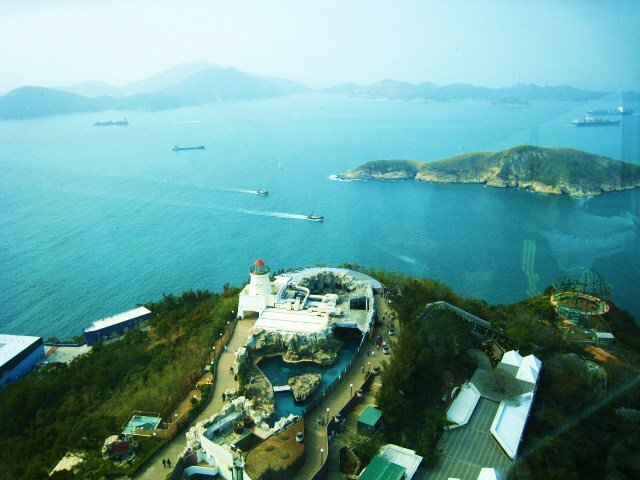 Taken from Ocean Park Tower. 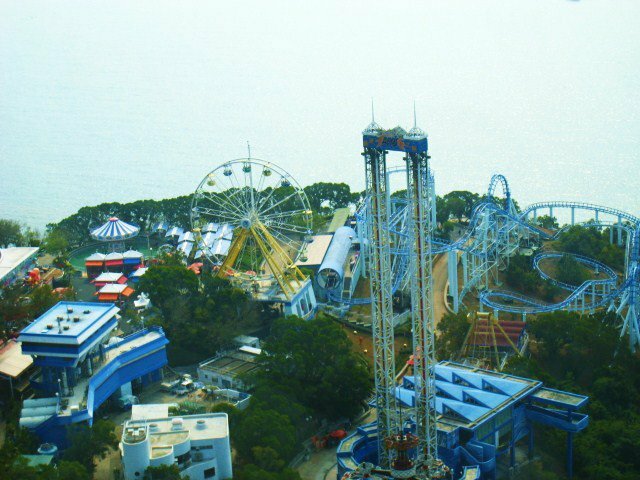 We had a full day of rides in Ocean Park. The tallest is The ABYSS ride. Thi is not for faint-hearted people. I told myself I will never try it again. Once is enough to experience the extreme adrenalin. I felt my body was cut into half when they started to dropped us. After a relentless rides, we watched a Dolphin show. These sea mammals are really interesting. 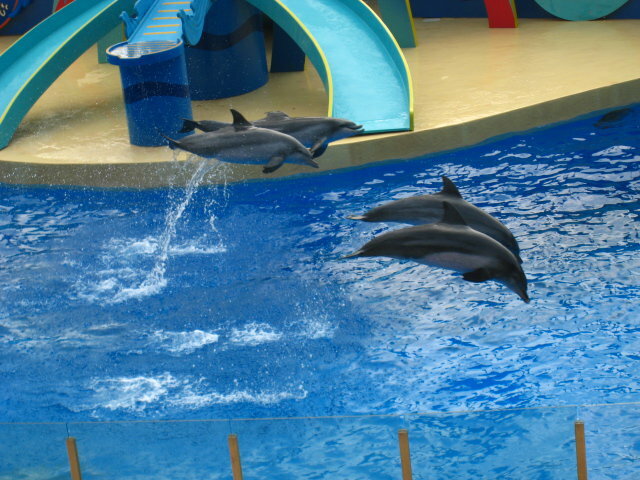 Dolphins show off their skills with their trainers as they glide on the water, dance to the music. 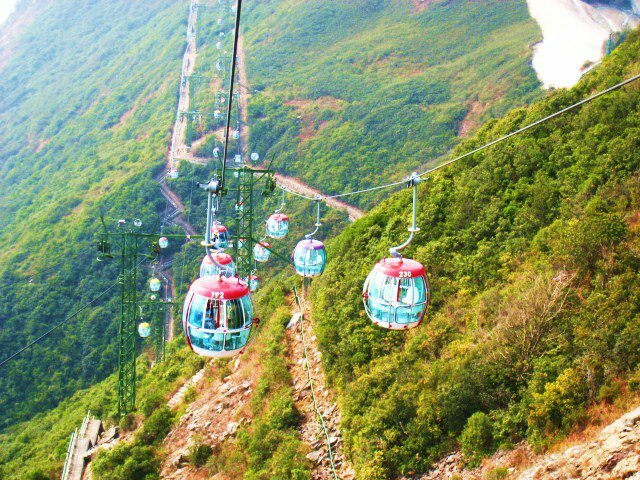 This Cable Car in Ocean Park is the best way to travel from one attraction to another which is located on different sides of the mountain. This ride is from Waterfron and Summit (back). 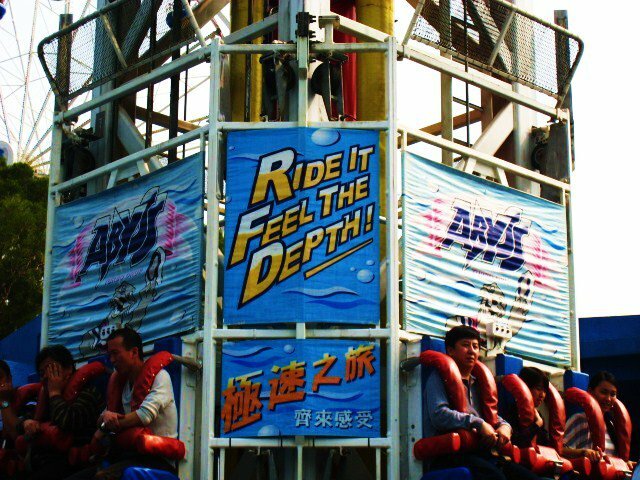 This is THE ABYSS- minimum height requirement to ride is 132cm. 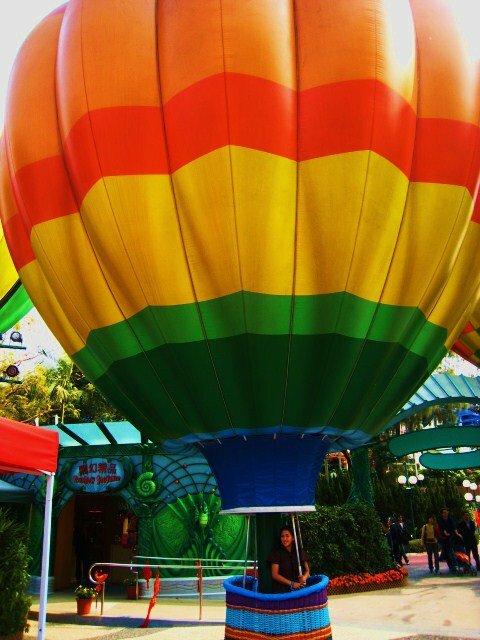 I was hesitant to try this ride, but when I saw that there are alot of Chinese kids, who were crying at that time due to the height requirement, then I decided to try. Well, I am not going up in the Air, this is just for photo-sake.